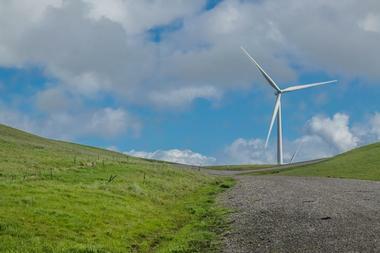 Livermore’s close proximity to the Bay Area make it a popular weekend getaway destination. 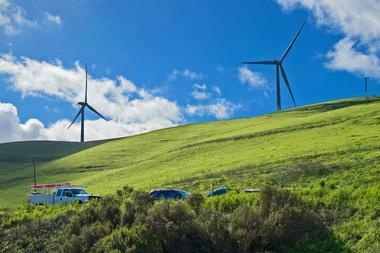 The greater Livermore Valley is one of California’s premier wine growing regions. Livermore also offers wonderful shopping at San Francisco Premium Outlets, excellent restaurants and a thriving performing arts, opera and symphony calendar at the Bankhead Theater. California’s beautiful Livermore Valley is located just 35 minutes east of San Francisco and is a great part of the country to visit for a weekend or a longer vacation. 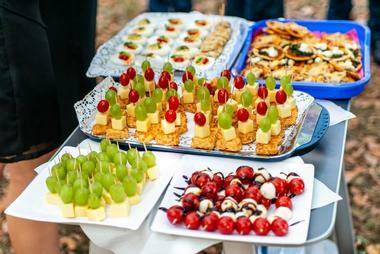 Foodies are particularly well-catered to in Livermore, with over 50 wineries vying for your custom. Beer lovers have not been neglected either, and can explore an interesting Brew Trail which will lead you to some of the valley’s best craft breweries. The valley also offers a good selection of outdoor activities including hiking and mountain-biking and boasts over 300 days of annual sunshine. Downtown Livermore offers a wide selection of restaurants, shopping and nightlife. The Lawrence Livermore National Laboratory Discovery Center is well worth visiting while you are in the Livermore Valley. The Discovery Centre is aimed at encouraging curiosity and interest in science by offering hands-on interactive activities for children, while parents can learn all about the essential work in state security that is carried out at the National Laboratory. The Discovery Center offers Science Field Trips for Fifth graders on week day mornings through the school year, and is open to the public from 1pm to 4pm from Tuesdays to Fridays. If you would like to book guided tour of the Laboratory you need to do so well in advance of your visit due to security. Beckoning outdoor enthusiasts to come and enjoy over 300 sunny days each year, Del Valle Regional Park offers year-round camping, hiking and water sports. The park is conveniently located just 10 miles south of Livermore, making it perfect for a day-trip or longer camping adventure. At the heart of the park you will find a lovely five-mile lake which offers swimming beaches, sailing, windsurfing and boating. You can join a variety of family programs at the Visitor’s Center which is open from June to September. Campers can book one of 150 campsites (21 have water and electricity hook-up) and the Little Chaparral Equestrian camp offers four small paddocks for equestrian campers. 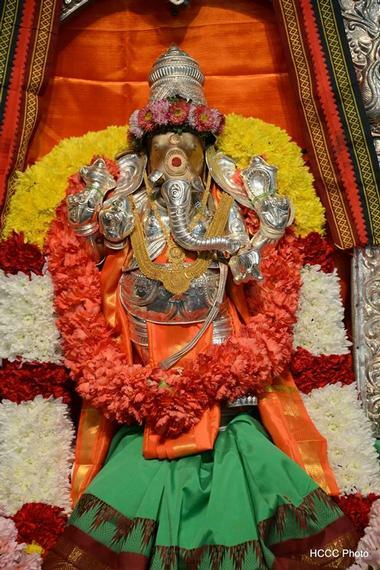 Nestled in the heart of a quiet suburban part of Livermore, the impressive Shiva-Vishnu Temple comes as a bit of a surprise. The temple architecture is typical of Southern Indian Hindu temples and features an impressive Gopura (an ornately decorated pyramidal tower over the main entrance). The Shiva-Vishnu temple is the largest Hindu temple in the Bay Area and all the Hindu religious deities are represented. Once you enter the temple you will find yourself in a spacious hall where religious ceremonies are held. The temple is also used as a cultural center and there are two huge commercial-sized kitchens where delicious vegetarian meals are prepared for devotees. Sycamore Grove Regional Park covers over 840 acres of outdoor recreational space where you can come and join the locals as they enjoy a variety of outdoor activities. The park offers a very popular 2.5-mile paved trail for hikers and bikers, which joins the two park entrances. However, there are several more trails which you can explore either by foot, bike or on horseback – a special parking area is available for horse trailers at the Wetmore Rd entrance. You can take a pleasant walk along the 0.6 mile Magpie Loop (easy) or choose the more strenuous 4-mile Valley View Loop for a good work-out. There is a pleasant picnic area and you can find restrooms and parking at both entrances. Built in 1891 to be the summer home of Sir Christopher Buckley, the Ravenswood Historic Site is a popular venue for weddings and other celebrations. The original main house has been beautifully restored and is joined by a Carriage House and Cottage, all of which are surrounded by sweeping lawns, orchards, vineyards and gardens. You can visit the historic estate and join a free guided tour (by costumed docents) on the second and fourth Sunday of every month. The tours take about an hour and include the 1885 Cottage, the 1891 Main House and the superb gardens. Groups may book a private guided tour for just $5 per person. The Bankhead Theater opened in 2007, serving as one of three venues which make up the Livermore Performing Arts Center (LVPAC). LVPAC is dedicated to ensuring that the performing arts are accessible to all members of the community and offer affordable tickets, family-friendly shows, concessions and some free shows. Music of all genres is the main focus of the Bankhead Theater but you can also come and enjoy dance, comedy, theatre and even acrobatics. Resident companies include the Livermore Valley Opera, the Pacific Chamber Orchestra, the Tri-Valley Repertory Theatre and the Cantabella Children’s Chorus. In addition, the Bankhead Theater often hosts touring shows and local community artists. Wente Vineyards is one of the oldest vineyards in the Livermore Valley, established back in 1883 by C.H. Wente. Today the vineyard is still operated by fourth and fifth generation descendents of the family who continue the legacy of producing fine wines. You can personalize your visit to the vineyards by choosing from a list of available tastings, tours and classes. Top of the list of activities is a Harvest Tour, which includes seeing the new harvest being picked and processed. If you visit outside of harvest time you can still enjoy a vineyard tour, a Sunday Cheese and Wine pairing in the Cellar or a fabulous Food and Wine Pairing Dinner in The Restaurant. The chance to appreciate both superb wine and great art is one of many good reasons to visit the Darcie Kent Vineyards in the Livermore Valley. Darcie Kent is a fifth-generation vintner and artist who not only makes fine wine but also creates all her own exceptional wine labels. When you visit the vineyards you will have the opportunity to taste several of their fine wines in the light and vibrant tasting room, which is also used as a gallery to exhibit the artist’s original paintings. The vineyard hosts regular wine and food events in the beautiful vineyards – you can check their website for details or join their mailing list to receive regular news-letters. 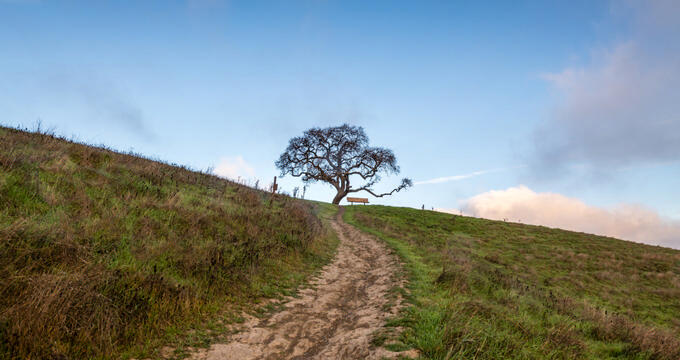 Brushy Peak Regional Preserve offers easy access to a large green space where outdoor enthusiasts and nature lovers can go walking, hiking, biking or horse-back riding. Because the park protects a variety of fragile plants you are requested to stay on the paths and ensure that your dog is on a leash at all times. There are hikes to suit everyone, from easy family-friendly walks to longer, more strenuous loops. Hikers need to know that all the trails are in open country and there is very little shade; you are advised to wear sunscreen and a hat and bring plenty of drinking water. If you would like to hike up to the summit of Brushy Peak you need to book a guided hike. Located in the heart of the Livermore Valley wine region, Altamont Beer Works offers a fresh and tasty alternative beverage for you to enjoy. You are welcome to visit their hand-crafted taproom from Tuesday to Sunday where you can sample a few of their artisanal craft beers which are all made on the premises and served up fresh and vibrant. You can expect a choice of ten regularly rotated beers on tap and light snacks are available for purchase. A few of the most popular beers you can try include several India Pale Ales, the Rich Mahogany Red Ale and their Berry White, which is enhanced with fresh berry flavors. The Steven Kent Winery was established in 1996 with a clear mandate to utilize the near-perfect Livermore Valley “Terrior” to produce world-class cabernets and Bordeaux varietals. The winery currently produces a selection of very sought-after limited-edition reds as well as a couple of white wines, notably the Merrillie chardonnay and the Lola white Bordeaux blend. The Barrel Room offers you the chance to taste some of their fine wines each day between 12 noon and 4.30pm and serious connoisseurs can book a guided wine tasting of their most exceptional small-batch wines in the Reserve Room, offered every weekend. 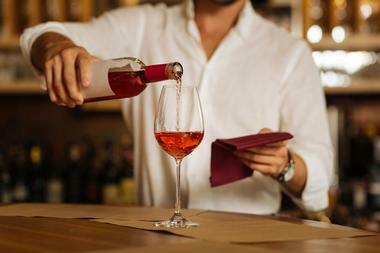 You can join their Wine Club to receive regular updates on all their wine events. The McGrail Vineyards and Winery specializes in harnessing the favorable Livermore Valley “Terroir” to produce a range of fabulous cabernets and a couple of enticing full-bodied chardonnays. The McGrail family believes that there should be no such thing as wine snobbery and everyone is very welcome to come and sample their produce, whether you are a connoisseur or know nothing at all about wine. You can enjoy wonderful views from their hill-top tasting room, explore the vineyards or even bring a picnic. 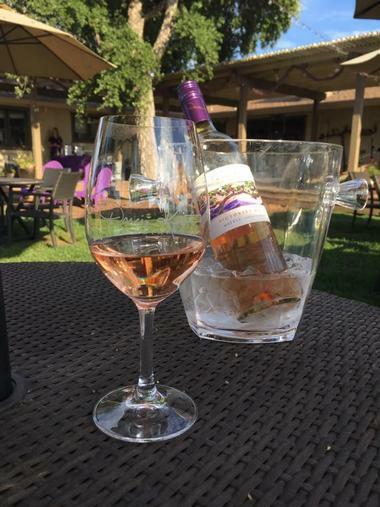 The winery hosts regular events including Friday Night Live (wine, music and dancing) or Saturday Yoga in the Vineyards – check their website for details. 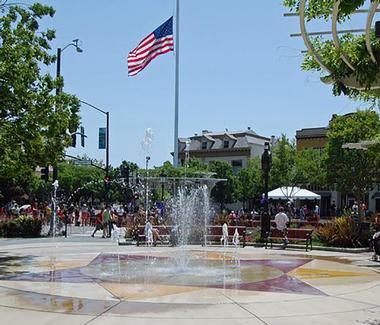 Located in the heart of downtown Livermore, the Lizzie Fountain Park is a popular meeting place for Livermore locals. At the center of the park the Lizzie Fountain is a great attraction for young children on hot summer days. You can bring along a book and spend a little time enjoying the antics of the children while you relax on one of the shaded benches. The main water jet is surrounded by a splash pad with several smaller jets which are perfect for young visitors to enjoy when the hot California sun sets the temperatures soaring. In the evenings you will find people relaxing around the fountain before attending a show or dinner at one of the nearby restaurants for theaters. 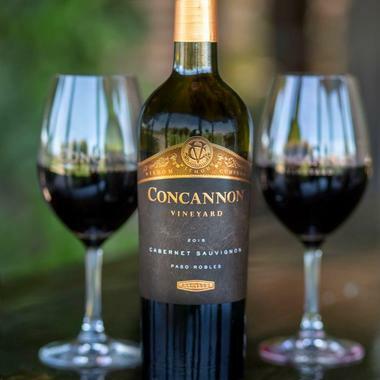 Since 1883 four generations of the Concannon family have been growing grapes and producing fine California wines in the Livermore Valley, which makes them one of the oldest American family-operated vineyards. The winery welcomes visitors to come and tour their vineyards, barrel room and, best of all, the Tasting Room, where you can sample a flight of their award-winning wines under the expert guidance of a wine host. If you prefer a more in-depth experience you can book a Library Tasting which includes a guided food and wine pairing. You can look forward to enjoying beautifully balances handcrafted wines in both red and white varietals. Enjoy the freedom to taste as many wonderful Livermore Valley wines as you like without having to worry about who will drive you home. 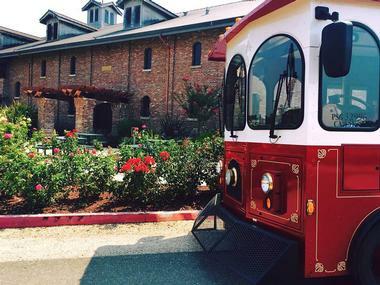 The Livermore Wine Trolley offers fully guided day trips to three fabulous Livermore Valley wineries on Fridays, Saturdays and Sundays all year round. Wine Trolley tours have partnered with 25 Livermore Valley wineries to bring you a day of fun, tasting and wine education as you sample some of the most representative wines of the region. 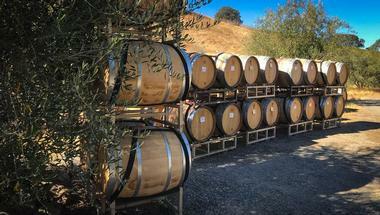 You day tour starts with pick-up at 11am in downtown Livermore and includes lunch and tasting fees. There are also special Sunset Vineyard Tours (including wine pairing dinner) offered from time to time. Livermore Food Tours are conducted by a team of dedicated foodies who like nothing more than introducing locals and visitors to some of Livermore’s outstanding eateries. When you sign up for one of their tours you can look forward to visiting either five or six different restaurants (depending on which tour you choose) where you will get a peek behind the scenes as well as a taste of some to their artisanal specialties. The walking tour covers around a mile of territory in downtown at a comfortable pace that is manageable for just about everyone. Along the way your guide will give you an insight into the history of Livermore and you will get to taste several different cuisines, teas and wines. 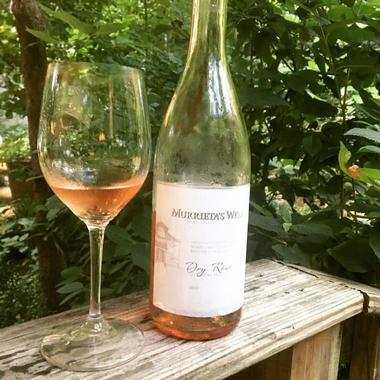 When you visit Murrietta’s Well Estate Winery you will be admiring vineyards which date back to the 1800’s, when cuttings from the famous French vineyards of Chateau Margaux and Chateau d’Yquem found a new home in the Livermore Valley. Today you can visit the original historic gravity flow winery which now houses the estate’s Tasting Room. You can book a Tasting Experience (either in the Tasting Room or outside on a patio where under 21’s may join you) or go for an immersive Food and Wine Experience, which includes a vineyard tour followed by a seated food and wine tasting in the barrel room. Retzlaff Vineyards is proud to showcase their range of award-winning wines which are produced entirely organically in their certified organic vineyards. The vineyards are surrounded by landscaped gardens and wide lawns which offer the perfect place for a relaxed picnic with friends and family. At the Tasting Room you can try the daily Full Flight of five estate wines or opt for the Deluxe Full Flight with includes one of their reserve wines. The estate also offers the opportunity to taste young “wines in the making” on a Barrel Tasting. If you would like to know more about organic wine production you can book a guided Saturday tour of the historic property, the vineyard and the straw-bale garden. 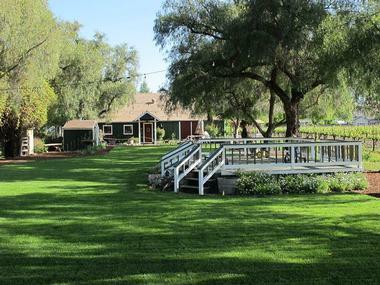 The Bent Creek Winery enjoys a spectacular setting surrounded by vineyards and the gentle hills of the Livermore Valley. The winery started off as a single small syrah vineyard in 1997, and by 2002 the owners were producing their own small-batch wines using only grapes produced by Livermore Valley vineyards. 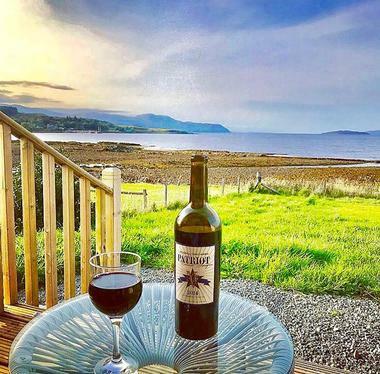 A visit to their tasting room will give you a chance to taste some of their current wine releases which include several red and white single cultivar wines, a couple of blends and three dark and fruity ports. It makes good sense to join their wine club which offers regular complimentary tastings and other special events. When three friends (all named Steve) got together and decided to turn their small-scale wine-making hobby into a fully-fledged business, the 3 Steves Winery was born. The winery now concentrates on harnessing the near-perfect wine-growing conditions of the Livermore Valley to produce their ever-increasing range of fine Californian wines. The three friends grow some of their own grapes on site and bring in other high-quality fruit from areas where each particular varietal grows the best. You are invited to visit the winery from Thursday to Sundays for a relaxed tasting and a picnic in their family and dog-friendly gardens. If you would like to do something really different during your visit to the Livermore Valley you are invited to pop into Fire Station #6 to see the world’s longest burning light bulb. This remarkable light bulb has been burning since 1901, which means it has produced light for more than one million hours. 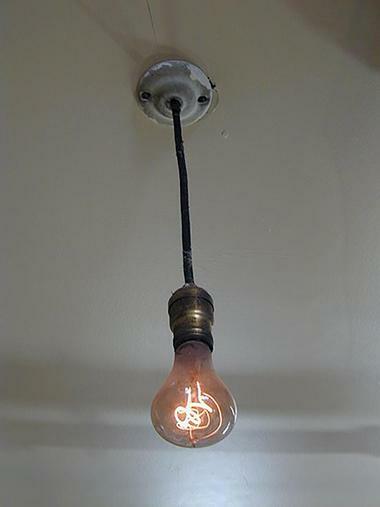 The Centennial Light is a common carbon-filament bulb which was made by Shelby Electric Company in Ohio. 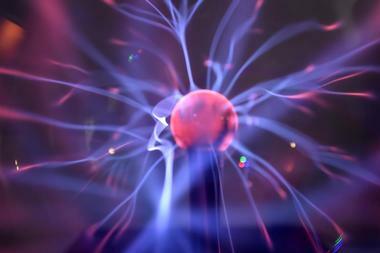 When you visit you will notice that the bulb has lost a lot of its original 30-watt or 60-watt power over the last 117 years and is more akin to a small nightlight. Do pop in and see it while you still have the chance. 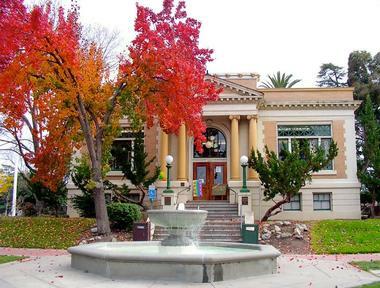 The Livermore Art Association (LAA) is headquartered in the historic Carnegie Building on 3rd Street, where it shares space with the interesting Livermore Heritage Guild. The LAA Gallery showcases work by local member artists in a variety of mediums and styles including paintings, jewelry, ceramics and photography. You can visit the gallery from Wednesday to Saturday from 11.30am to 4pm, or combine some shopping with your visit on Thursday evenings during the Farmer’s Market when the gallery stays open until 8pm. Likewise, on Sunday mornings the gallery opens early (10am – 2.30pm) to coincide with the Sunday Market on K Street. 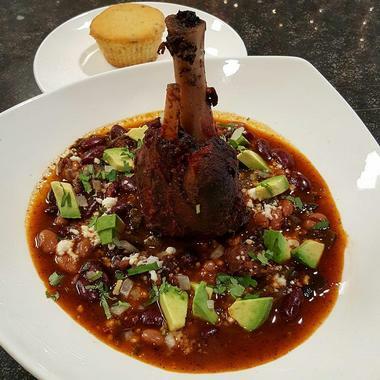 If you are looking for palate-pleasing fresh and tasty Southwestern food then Posada Restaurant is the place to go in Livermore. The family-owned eatery has recently expanded its dining area and added a very popular wine bar where you can enjoy a wide variety of Livermore Valley wines. You can choose to eat in the relaxed atmosphere of the Santé Fe themed dining room or sit outside on the shaded patio area. House favorites include Chef Eduardo’s famous short ribs with blackberry mole poblano, grilled oysters Posada and their signature mahi-mahi tacos with watermelon salad. 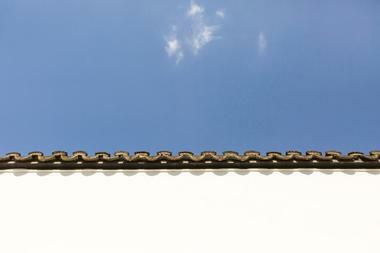 Posada is open from Wednesday to Sunday from 11.30. 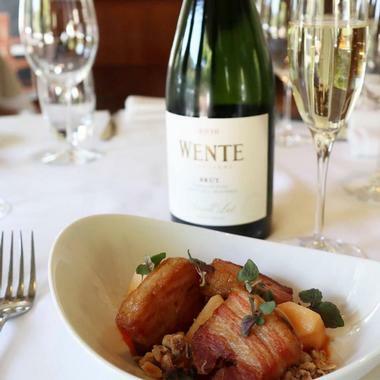 Every item you will find on the daily-changing menu of The Restaurant at Wente Vineyards has been prepared using the finest and freshest locally sourced organic produce. 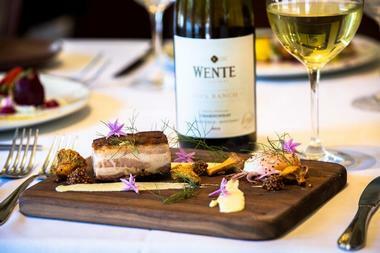 Since its inception in 1986 The Restaurant has focused on serving up simply-prepared dishes which do full justice to the wonderful sustainably farmed ingredients, many of which come from the Wente Estate Garden and the Estate Beef program. You can expect fresh innovative California cuisine with subtle French and Italian influences. One of the best ways to savor the food is to book a Vineyard Table lunch which is an unforgettable three course food and wine pairing experience available Friday to Sunday. You can also visit The Restaurant for dinner from Tuesday to Saturday.